FOLLOWING a series of tweets by his spokesman suggesting that he had indeed approved contentious contracts worth $25billion awarded by Dr Maikanti Baru, the Group Managing Director (GMD) of the Nigerian National Petroleum Corporation (NNPC), Vice President Yemi Osinbajo has said he only gave authorization for the procurement of two financing loans and not contracts. His Senior Special Assistant on Media and Publicity, Laolu Akande, had explained on his verified Twitter handle @akandeoj, on Thursday that the contracts were approved after due diligence by the Vice President when he acted as President recently. He had said the Vice President approved the recommendations for the contracts as part of necessary actions to deal with the backlog of unpaid cash calls and incentivise investments. He had initially said that he made the clarification in view of media enquiries that followed NNPC’s claim that the contracts were indeed approved by Osinbajo. But in another statement issued after his tweets had been published, the spokesman quoted the Vice President as saying that he specifically gave approvals for financing arrangements for the Joint Ventures between the corporation and IOCs, and not approvals for contracts. 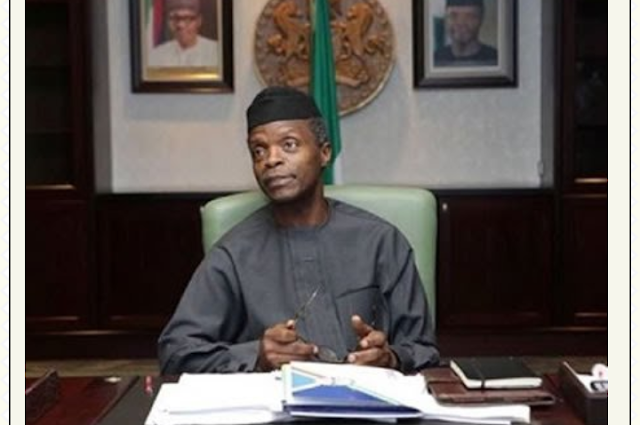 He said Osinbajo gave the clarification when approached by reporters after the ground-breaking multi-billion Naira historic Bonny-Bodo road project, in Bonny, Rivers State on Thursday. The statement quoted Osinbajo as saying: “These were financing loans. Of course, you know what the Joint Ventures are, with the lOCs, like Chevron, that had to procure. In some cases, NNPC and their Joint Venture partners have to secure loans and they need authorisation to secure those loans while the President was away. The law actually provides for those authorisations. The statement referred to the earlier tweets but stopped short of denying the contents. Recall that the Minister of State for Petroleum Resources, Dr Ibe Kachikwu’s memo to President Muhammadu Buhari had surfaced in the media last week, indicating that he had been cut out from critical decision-making process which led to the award of $25billion contracts by the NNPC GMD. He also accused Baru of reorganising the corporation without recourse to the Board of the NNPC. Accusing the GMD of insubordination, the minister revealed that had been unable to have a one on one meeting with Buhari to state his case, hence the need to write him the leaked memo.